2015 saw an important surge of handwritten calligraphy in graphic design and web design projects (if you’ve been living under a rock and haven’t noticed, you only need to go to your local mall or book store to see what I mean.) This artsy trend continues to gain in popularity in 2016 and as a result gave birth to many beautiful typefaces developed by talented typographers and type foundries from all over the world. While many such typefaces are available for sale for affordable rates on online marketplaces like Creative Market, some creatives have been kind enough to share free samples of their work, by the same occasion allowing countless fellow designers to create beautiful works featuring handwritten typefaces on a budget. 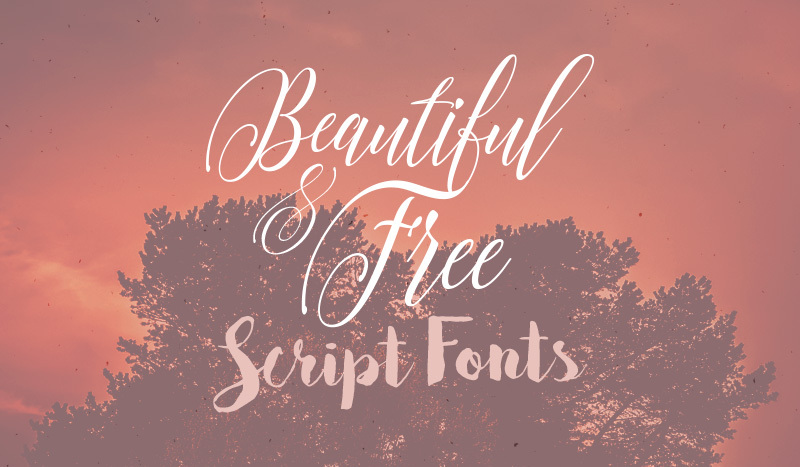 If you found more beautiful free script typefaces online that you’d like to share, I invite you participate by leaving a comment with your recommendation below!